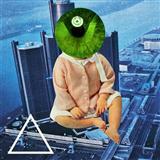 Below is the Rockabye (feat. Sean Paul & Anne-Marie) sheet music by Clean Bandit and other. We have 1 arrangement for Rockabye (feat. Sean Paul & Anne-Marie) Piano Sheet Music.